The laptop compartment with integrated padded laptop sleeve protects most 15.6″ computers. The three elastic slip pockets with leather tabs are ideal for organizing smaller items like cords and USB drives. 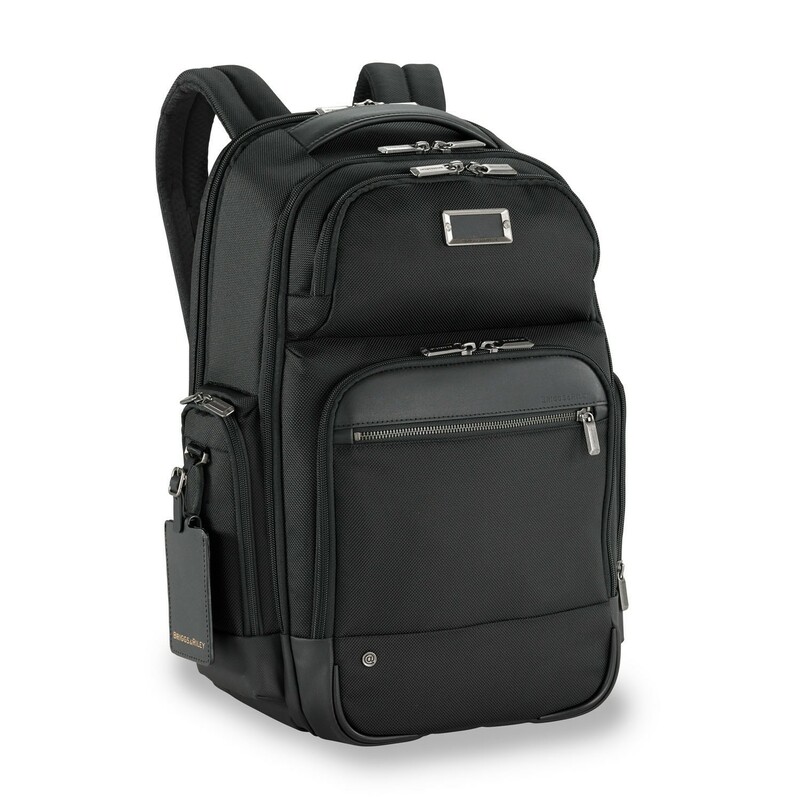 This bag features adjustable padded neoprene backpack straps for maximum shoulder comfort. The coated 600D nylon fabric on the bottom panel protects the bag from unclean surfaces and the bottom corner guards protect the bag from wear and abrasion.